You could hardly say that running – let alone trail running – is exploding in impoverished Cambodia. It’s not exactly a national past time. Talk to the locals and the only tales of running that come to pass are those involving the word ‘away’: running away from the marauding enemy and into the jungle in most cases. There was running through wilderness, of course, but it was very much of the life saving survival kind, not life affirming recreational kind. Yet now, in peacetime, adventurous runners may look to the tropical nation with a glint in the eye, given its expanses of national park, including ranges that rise to 1800m, and the exotic thought of running on a plethora of singletrack between mountain villages. It was that exoticism that led GlobalLimits owner Stefan Betzelt, on his mission to set up a series of multi day stage races where the journey and the culture was the primary motivation, rather than simply the ‘winning’. Having recently wrapped on his first ever multi-day in Bhutan, Stefan is now looking to pack the course marking gear for his flight to Cambodia and the setting of the second edition of his The Ancient Khmer Path multiday, a 220km, six stage race that mixes up the jungles and rice paddies with small villages and ancient ruins. Impressive starts and finishes are a bit of a signature for Global Limits, the sat race in Bhutan finishing at the famous Tiger’s Nest monastery. Taking the final steps into Angkor after 220km-worth will be equally as impressive, as will the luxurious 5-star accommodation afforded runners at race end. Stefan reports that he has taken entries from 15 nationalities so far and expects many more before the race experience kicks off on 29th November – 7th December with actual racing beginning on the 1st Dec. 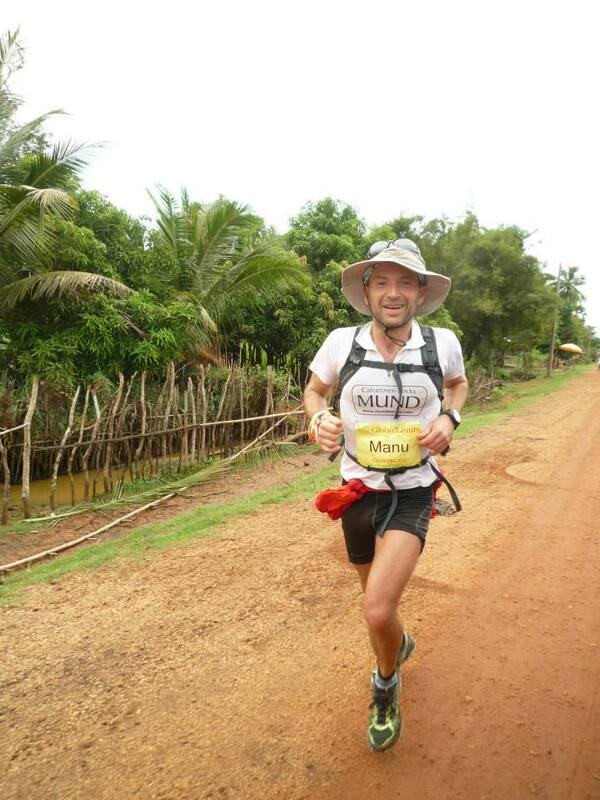 Although a multiday, the Cambodia race still gains entrants UTMB qualifying points (2 – for 2014 UTMB). “There are a strict number of entries available – 45 – so we suggest interested runners get on board soon!” says Stefan.